John and his wife, Kelly, are members of St. John the Baptist Parish in Petersburg. The Starmans have four children, Sarah and husband, Sabino, Greg, Peter and fiancé, Allison, and Matthew. John and Kelly own Starman Seed Service, Inc., which is located in Elgin, NE. John grew up in Elgin and graduated from Pope John XXIII Central High School in 1980. 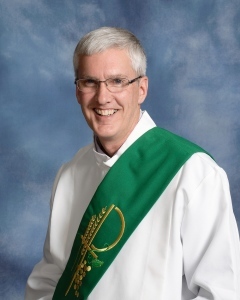 John was ordained a permanent deacon in the Archdiocese of Omaha on May 5, 2012.